It's all about spring at glo headquarters in Denver! Even though flurries fell last night, we're living in a world of rosy golds and classic neutrals. 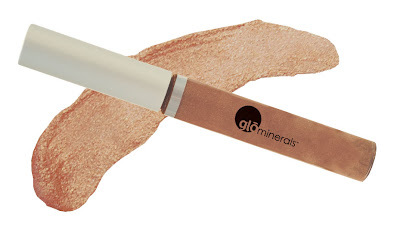 Spring has lots of perks-longer days, more sunshine, fresh flowers... but what I'm loving is soon-to-launch gloGloss in brown sugar. It's just about as perfect a shade as I could imagine. The color is a rosy natural hue with a touch shimmer that's well, just like the sugar it's named for. The glominerals spring collection will be available March 1, 2010.